Loop, swoop and pull these Steel toe work boots on your feet with the Speed lace system that makes it easy to get your desired fit. 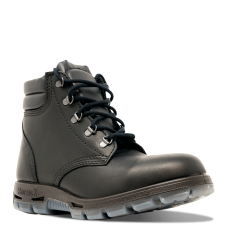 Constructed utilizing our symmetrical ASTM certified steel toe caps the Outback will keep you safe and comfortable day in and day out. Our wider fit allows for kneeling and crouching without top foot discomfort from traditional safety toe boots. Maximum oil/acid and slip resistance is present in our TPU outsoles so you don’t have to worry about what environment you are working in. 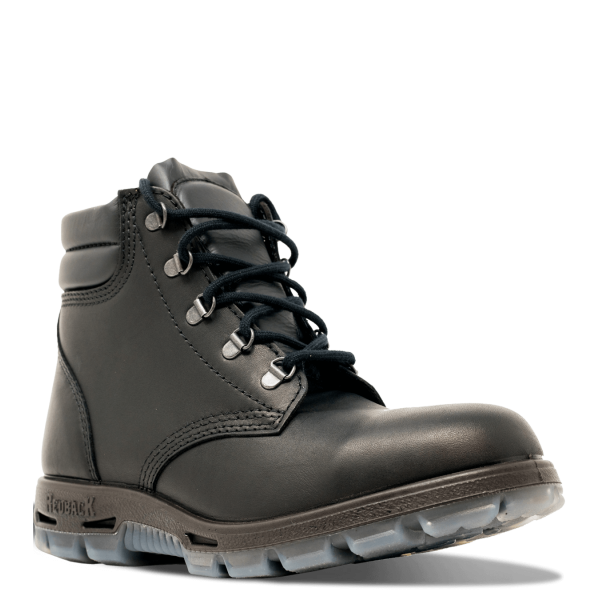 Sitting just above the ankle this 6’’ lace up steel toe work boot has you covered as a versatile option whether on a jobsite, in a warehouse or doing whatever it is that you do!